Congratulations to Violinist Christian Tetzlaff! International Classical Music Awards ICMA have announced their 2015 Winners today. Christian Tetzlaff is the 'Artist of the Year'. His latest release on Ondine features the two Shostakovich Concertos with the Helsinki Philharmonic under John Storgårds. The Hamburg-born violinist Christian Tetzlaff is a frequent soloist with such orchestras as the London Philharmonic Orchestra, Metropolitan Opera Orchestra, NHK Symphony Orchestra Tokyo, Orchestre de Paris, Boston Symphony Orchestra and the Berlin Philharmonic Orchestra, where he will be artist in residence during 2014-15 season. Christian Tetzlaff has recorded the following works for various labels: the violin concertos of Beethoven, Brahms, Dvorák, Joseph Joachim, Lalo, Szymanowski, Tchaikovsky, Mendelssohn and Schumann, Widmann and all of Sibelius's works for violin and orchestra, as well as chamber works by Bartók, Brahms, Schoenberg, Schumann, and Sibelius, with such partners as Tanja Tetzlaff, Leif Ove Andsnes, and Lars Vogt. 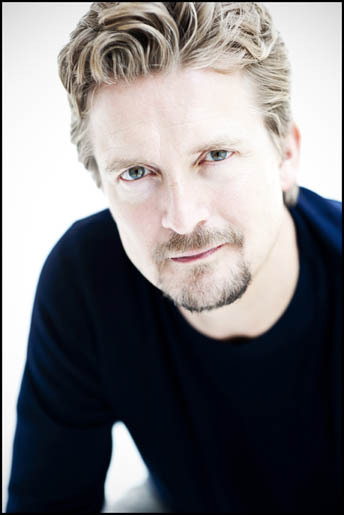 Christian Tetzlaff has received numerous awards for his recordings, including two Diapasons d´Or, the Edison Award, Midem Classical Award, ECHO Award, and nominations for Grammy Awards. Musical America named him "Instrumentalist of the Year" in 2005. Christian Tetzlaff plays an instrument by the German violin maker Peter Greiner and teaches regularly at the Kronberg Academy.